When the world’s #1 think tank, Brookings Institution, decided to open an office in India in 2013, many in this country wondered why a US-based think tank would want an Indian presence. There was more perplexity than hostility. “When the idea for Brookings India first originated, many Indian policymakers and industrialists questioned the role of think tanks, or why they were useful or necessary,” says Vikram Singh Mehta, the Delhi-based chairman of Brookings India. Once largely unknown and unappreciated, think tanks defined as organisations which conduct policy-oriented research and analyses and provide advice to governments, corporates and policy formulators on domestic and international issues to enable informed decisions and build media and public opinion are thriving in India with many coming of age. In the latest (2016) annual survey of the world’s top think tanks conducted by the University of Pennsylvania under its Think Tanks and Civil Societies Program (TTCSP), nine Indian think tanks are ranked among the Top 175 globally. To constitute the TTCSP Global Go To Think Tank Index, over 6,500 think tanks from 60 countries were invited to participate, and were ranked by 1,950 scholars, public and private donors, policy makers, and journalists using a set of 18 criteria (see box p.76). Among the Indian think tanks ranked in the global Top 175: Institute for Defence Studies and Analyses (#54), Centre for Civil Society (81), Indian Council for Research on International Economic Relations (110), The Energy and Resources Institute (112), Observer Research Foundation (119), Development Alternatives (139), Delhi Policy Group (142), Centre for Land Warfare Studies (172) and Centre for Policy Research (174). The University of Pennsylvania survey notes that India “has experienced a dramatic growth in think tanks since the mid-2000s” and hosts the fourth largest number in the world 280 cf. 1,835 in the US, 435 in China and 288 in the United Kingdom (see box p.76). “Think tanks are public-policy research analysis and engagement organizations that generate policy-oriented research, analysis, and advice on domestic and international issues, thereby enabling policymakers and the public to make informed decisions about public policy. Think tanks may be affiliated or independent institutions that are structured as permanent bodies, not ad hoc commissions. These institutions often act as a bridge between the academic and policymaking communities and between states and civil society, serving in the public interest as independent voices that translate applied and basic research into a language that is understandable, reliable, and accessible for policymakers and the public." When the government of India discerned a need for independent research and policy inputs on economic affairs, it re-jigged its socialist-era Planning Commission to form the country’s largest think tank — NITI (National Institute for Transforming India) Aayog. Though technically, NITI Aayog is another arm of the Union government, intrinsic to its formation is the idea that government needs inputs for better policy formulation, implementation and evaluation. Several attempts to interview Dr. Arvind Panagariya, an economics professor of Columbia University appointed vice chairman of NITI Aayog, proved infructuous as he had decided to resign which he duly did on August 1. NITI Aayog apart, as in other Asian countries, many think tanks in India are either government- funded or affiliated such as the top-ranked Institute of Defence Studies & Analyses, Indian Council of World Affairs and Indian Council for Research on International Economic Relations. While government think tanks are flush with funds, for private, independent think tanks, raising funds isn’t easy as corporate and philanthropic grants and research funding tend to be grudging. Critical to think tanks producing quality research, analysis and policy papers is their ability to attract highly respected authors, professors and elder statesmen as scholars and researchers. Fortunately, an increasing number of academics and researchers are opting to contribute to the national policy development effort. “Think tanks can’t compete with corporate salaries, but they have learnt that it is important to attract talent. The good news is that many young people are showing interest in the development sector and want to engage with issues of polity, probity and governance,” says Pradeep Mehta, founder secretary-general of the Jaipur-based CUTS International, a consumer rights think tank. The fact that India hosts the fourth largest number of think tanks worldwide, and that they have survived and multiplied and attract erudite faculty and scholars, indicates that there’s growing appreciation of the valuable role they play in shaping public opinion and aiding policy formulation. In the pages following, we offer snapshot profiles of India’s most admired think tanks engaged in valuable research on issues of national importance. Relatively late (2013) in planting its flag on Indian soil is the Brookings Institution India Centre, aka Brookings India. However, its belated arrival is most welcome because its parent think tank, the Washington DC-based Brookings Institution, enjoys an awesome reputation in the US and is routinely ranked the world’s #1 think tank in the annual survey conducted by University of Pennsylvania under its Think Tanks and Civil Societies Program (TTCSP). In the latest 2016 Global Go To Think Tank Index Report of TTCSP, unsurprisingly Brookings Institution USA is ranked the #1 think tank worldwide. Established four years ago, Brookings India is the initiative of its founder-chairman Vikram Singh Mehta, an alum of Oxford and Tufts universities who served with various European petroleum companies and retired as chairman of the Shell Group of Companies in India in 2012, following which he was appointed the first chairman of Brookings Institution India Centre. Currently, the centre has 15 scholars/researchers on its muster rolls including top-ranked economists Subir Gokarn and Rakesh Mohan, both of whom have served as former deputy governors of the Reserve Bank of India, and Waheguru Pal Singh Sidhu, formerly with the EastWest Institute, New York. Focus areas. While the ambit of Brookings India scholars spans the domains of development and governance, trade and investment, foreign policy, energy and sustainability, digital economy and regulatory issues, over the past year it has been focusing on “important topical issues” such as public understanding of government electricity subsidies, impact of electronic voting machines, making health and morbidity data accessible for policy analysis, and the future of India-US relations. Among its long-term policy initiatives, reform of India’s coal sector, the concept of a universal basic income and fine-tuning of India’s ‘Act East’ policy are priority areas. “The focus is now on consolidating our presence and expanding the scope to sectors such as education,” says Mehta. The 2016 survey of the world’s top think tanks conducted by the University of Pennsylvania under its Think Tanks and Civil Societies Program ranks the Delhi-based Centre for Civil Society (CCS, estb. 1997) #54 worldwide and #2 in India. Dr. Parth J. Shah, an alumnus of MS University, Baroda and Auburn University, USA, and former professor of economics at Michigan University who returned to India in 1997 to promote CCS, says the high ranking is an acknowledgement of the centre’s efforts “to transform ideas and mindsets and enable effective policy reforms to foster choice and accountability across the public and private sectors”. Focus areas. CCS’ main areas of focus are education for all, law, liberty and livelihood, good governance and communities, markets and environment. The society’s relentless campaign for protection of street vendors’ right to livelihood has resulted in the Supreme Court legalising street vending in Rajasthan. According to Shah, currently CCS’ prime focus is on “reshaping the school education policy landscape — shifting the focus to learning outcomes, expanding choice in education and advocating deregulation of the private sector”. Among its notable education achievements: CCS presented recommendations to Niti Aayog for formulation of the New Education Policy; successfully initiated a ‘centralised lottery’ system for admission of EWS (economically weaker sections) students under the RTE Act’s 25 percent quota for poor neighbourhood children; and trained and skilled 2,000 youth under its Vikalp Skill Voucher pilot project. Moreover, CCS has trained over 445 youth, 90 journalists and 61 young professionals through its certificate course on public policy. “Engaging with youth and students is integral to CCS’ activities. Through campus talks, training and credit courses we want to nurture leaders with new ideas. Last year, we interacted with over 2,950 students of top universities countrywide,” says Shah. The Delhi-based Centre for Budget and Governance Accountability (CBGA) was established in 2002 as a programme of the Pune-based National Centre for Advocacy Studies, and spun off as an independent organisation in 2005 with the mandate to promote transparent, accountable and participatory governance. “CBGA is one of the few think tanks in the country that analyses fiscal policy and budgetary processes. The focus is on the impact of fiscal policies and government budgets on underprivileged sections of the population. As a result, our research has provided useful evidence and perspectives for civil society organisations and social activists to help strengthen their policy advocacy efforts,” says Dr. Subrat Das, an economics alumnus of Jawaharlal Nehru University, Delhi and research scholar at CBGA since 2002, who was appointed executive director of the centre in 2010. Focus areas. CBGA’s primary objective is to promote transparent and accountable governance. In January this year, the centre launched an open data portal on government budgets in India (openbudgetsindia.org) with its research focusing on policy framework and budgetary priorities for critical development sectors such as education, health, nutrition, drinking water and sanitation, agriculture and food security, and responsiveness of budgets to disadvantaged sections of population. With a total income of Rs.4.9 crore in 2015-16 and served by a core faculty of 29 researchers and scholars, CBGA’s donors include the Ford Foundation, International Development Research Centre, Centre for International Policy Project, Bill and Melinda Gates Foundation, Unicef among others. Dr. Das plans to expand the centre’s scope of work manifold in the coming years. “We plan to strengthen our research work in a number of areas, viz. building a robust body of evidence on implementation of government programmes through field survey-based research studies; comparative analysis of state government budgets in the context of fiscal federalism; using ICT to improve governance and budget processes in the country; and promoting ways in which India’s budget data can be made ‘open’, usable and easy to comprehend,” says Das. The Indian Institute of Dalit Studies (IIDS) was promoted in 2003 by academicians and civil society activists to understand the problems of marginalised groups of Indian society, identify the causes of their marginalisation and suggest policies for their empowerment. Based in New Delhi, over the past decade IIDS has collaborated with various ministries of the Central and state governments to develop policies and schemes for progressive upliftment of backward communities. “IIDS has been recognised as a Centre with Potential for Excellence by the Economic and Social Research Council of the UK, and as an Emerging Centre for Social Science Research by Department of International Research, South Asia Research Hub. We are one of the foremost institutions working in the area of social exclusion and discrimination,” says Sanghamitra S. Acharya, an alumna of Jawaharlal Nehru University, Delhi and University of Botswana and director of IIDS (annual budget: Rs.3.86 crore). Among IIDS’ biggest supporters are the Union ministries of social justice and empowerment, rural development and human resource development. Focus areas. The institute is primarily focused on studies commissioned to influence policy interventions in the areas of affirmative action in the private sector, strengthening the Panchayati Raj system and development of guidelines for classroom behaviour and teacher training modules to address issues of caste discrimination. IIDS has also collaborated with Action Aid, UNICEF, UNDP, University of Birmingham, UK, among others in the area of social inclusion and empowerment. Established in 1981, the Delhi-based Indian Council for Research on International Economic Relations (ICRIER) is widely regarded as the country’s premier think tank on issues related to economic policy and India’s place in the global economy. 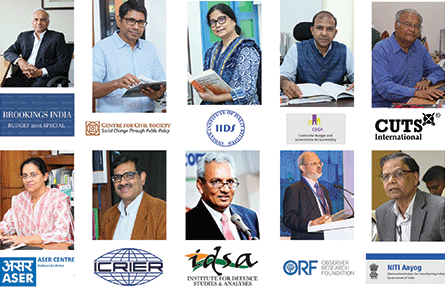 “At a time when inward looking economic policies were at their peak in India, ICRIER was one of the first outward looking think tanks to advocate greater, intensive engagement with the global economy. Our biggest achievement is that we have been able to influence economic policy making in India through evidence-based research,” says Dr. Rajat Kathuria, former professor of economics at the University of Maryland (USA) and the International Management Institute, Delhi who was appointed director of ICRIER in September 2012. With a healthy endowment fund of Rs.47.91 crore, ICRIER attracts highly-qualified research scholars and academics. Its Board of Governors is chaired by well-known economist Dr. Isher Judge Ahluwalia and includes Nandan Nilekani, Tarun Das, Chanda Kochchar, Anand Mahindra and Uday Kotak among others. Focus areas. Primarily focused on economic policy research, it has expanded its scope to include research on manufacturing, agriculture and service sectors, climate change, urbanisation, entrepreneurship and jobs creation. As one of the most reputed economic think tanks in the country, ICRIER is routinely contracted by various ministries of the government for “single sourcing of research” on key policy issues. “Over the years, many of our policy recommendations have been implemented by government. Among them: direct selling, single and multi-brand retail and mega food parks policies. In addition, we have contributed to bilateral Free Trade Area negotiations, particularly for Korea, Sri Lanka and Nepal, and the SAARC regional integration process. The India-Pakistan trade liberalisation process initiated in 2012 was also based on evidence provided by ICRIER,” says Kathuria. 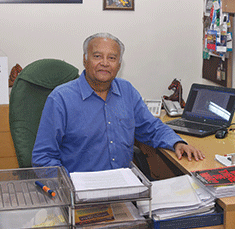 Since it was founded by a voluntary group of citizens in 1983 to apprise rural citizens in the north-western state of Rajasthan about various schemes of the Central and state governments promoted for their welfare and upliftment, the Jaipur-based CUTS (Consumer Unity & Trust Society) International has evolved into the country’s foremost consumer rights and protection organisation. It currently operates five programme centres and an advocacy centre in India (three in Jaipur, one each in Chittorgarh and Kolkata), two resource centres in Africa and one in the UK. “We are probably the only NGO in the world recognised for our persistent advocacy of competition laws and policies in over 25 developing countries. We have shown through empirical evidence how in the absence of proper regulation and competition, consumers are blocked out from participating in the economy, thus negating the gains of liberalisation,” says Pradeep S. Mehta, a relentless consumer rights champion and founder secretary-general of CUTS-International which has a headcount of 100 employees. Focus areas. CUTS’ primary focus areas are consumer protection; international trade and development; promoting competition, investment and economic regulation; human development and consumer safety. According to Mehta, CUTS has formulated a “vision document for 50 years and five-year strategic business plans” to guide its future growth. “Our focus areas are directly linked to the United Nation’s Sustainable Development Goals. We will continue to focus on consumer protection and human development and help achieve the SDGs’ objective of ‘leave no one behind’,” he says. Among its donors, CUTS (annual budget: Rs.9.74 crore) boasts AusAID, DFID (UK and India), various Union government ministries, the United Nations, Consumers’ International (UK), HIVOS (Netherlands), International Development Research Centre (Canada), and the Ford Foundation (USA). Established in 2008 by Pratham Education Foundation (estb. 1994), India’s pioneer and premier education NGO, the ASER Centre is an autonomous assessment, survey, evaluation and research institute which assesses the outcomes of social sector programmes in the country. “Pratham’s research arm — ASER Centre — produces evidence for action through a variety of activities of assessment, survey, evaluation, research and communication. Also, given the fact that the centre is part of Pratham, an implementation organisation working to improve quality of primary education countrywide, we are able to act on evidence,” says Dr. Rukmini Banerji, a highly-qualified alumna of the Delhi School of Economics, Oxford and Chicago universities, who worked as a programme officer at the Spencer Foundation, Chicago for several years before returning to India in 1996. Currently, she is chief executive of the Delhi-based Pratham Education Foundation. Focus areas. Pratham’s invaluable flagship initiative is publishing the Annual Status of Education Report (ASER), a citizens-led assessment of learning outcomes of children in the 5-16 age group in rural India. Conducted since 2005, ASER involves resource mobilisation on a massive scale. For instance, the 2016 survey involved networking with 500 local organisations and mobilisation of 25,000 volunteers (mainly college students) who fanned out across 589 rural districts to test the unprepared literacy and numeracy capability of 562,305 children (in the age group 3-16) of 350,232 households in 17,473 rural habitations, making it the largest learning assessment survey countrywide. According to ASER 2016, nationally, only 42.55 percent of children in class II are able to read class I level texts while a mere 27.7 percent can do two-digit subtraction sums. “ASER has contributed significantly to changing the national discourse on elementary education from inputs to outcomes. ASER was initiated because there was no nationwide data on learning outcomes of primary school children in rural India. Also, all education policies exclusively focussed on enrolment, gender equality and infrastructure provision. This resulted in the RTE Act which guarantees ‘Right to Schooling’ rather than ‘Right to Learning’. All this is now changing and the incumbent government is focused on learning goals and outcomes,” says Banerji. ASER apart, the centre has produced several high-impact education research studies including the India Early Childhood Education Impact study, Bihar Elementary School Study, and Inside Primary Schools. Moreover, it conducts courses and workshops to build the capacity of individuals and institutions to design, implement and understand assessment of education/social sector programmes. The Socialist-era Planning Commission, established in 1950 by India’s first prime minister Jawaharlal Nehru to devise and implement Soviet-style central planning for every sector of the economy, was formally abolished by the Narendra Modi-led BJP government, and replaced by the National Institution for Transforming India (aka NITI Aayog) on January 1, 2015. NITI Aayog, which bills itself as “the premier policy ‘think tank’ of the government of India, providing both directional and policy inputs”, is mandated with designing strategic long-term policies and programmes for the Union government and providing “technical advice” to the Centre and states. Although the prime minister is the ex officio chairperson of Niti Aayog, the think tank is effectively managed by its vice chairperson Dr. Arvind Panagariya, professor at Columbia University on deputation to NITI Aayog and CEO Amitabh Kant, a former bureaucrat. The think tank also has three prominent members: V.K. Saraswat, former defence secretary, economist Dr. Bibek Debroy and agricultural economist Prof. Ramesh Chand. Focus areas. Though the Planning Commission has been junked, its new avatar retains much of the old infrastructure and government work culture. According to the official website, “the core of NITI Aayog’s creation are two hubs — Team India Hub and the Knowledge and Innovation Hub. The Team India Hub leads the engagement of states with the Central government, while the Knowledge and Innovation Hub builds NITI’s think-tank capabilities.” Repeated efforts to interview any of the top brass proved unsuccessful with the Aayog in a churn. Panagariya resigned his office on August 1. The Central government-funded Institute for Defence Studies & Analyses (IDSA, estb.1965) is ranked India’s #1 think tank in the University of Pennsylvania’s latest survey for good reason. It’s easily the country’s most well-funded and prolific think tank with a well-qualified multi-disciplinary research faculty drawn from academia, the defence and civil services. Wholly funded by the Union ministry of defence, it is sited on an expansive campus in New Delhi with an administrative building hosting office spaces, a library, world-class auditorium, conference rooms, and residential apartments for visiting scholars. The credit for transforming IDSA into the country’s most well-equipped think tank is unanimously given to Dr. K. Santhanam who served as director from 2001-2004. A government scientist who supervised several top-secret projects including missile and submarine development, Dr. Santhanam succeeded in pushing through IDSA’s massive infrastructure development and expansion plans through government red tape. Unfortunately, in recent years IDSA’s success and deep government linkages have attracted the attention of defence and foreign ministry bureaucrats who have usurped the director’s position leading to much frustration amongst its research scholars. Therefore, unsurprisingly in the tradition of Indian super bureaucrats who have scant respect for public accountability, your correspondent’s several efforts to interview the director re-designated as “director general” Jayant Prasad proved futile. Focus areas. IDSA’s primary focus is on national security research and analysis. “The Institute for Defence Studies and Analyses is a non-partisan, autonomous body dedicated to objective research and policy relevant studies on all aspects of defence and security. To achieve its goals, the Institute undertakes: a) Scholarly research; b) Policy-oriented research; c) Dissemination of research findings; d) Training and capacity building; and e) Public education,” says its website. It also hosts several national and international conferences on defence and security-related issues with its prestigious Asian Security Conference attracting defence scholars and experts from around the world. Promoted in 1990 on the eve of India’s historic liberalisation and deregulation initiative of 1991, the Delhi-based Observer Research Foundation (ORF) was established with the objective of bringing economists and policy makers together to facilitate the process of economic reforms and aid India’s transition from “a protected economy to a new engagement with the international economic order”. Since then, ORF founded by the Ambani family, promoters of Reliance Industries Ltd, India’s largest private sector company (revenue: Rs.320,000 crore in 2017) has expanded its ambit to security and strategic studies, economy and development, and energy and resources, providing valuable independent research analyses and inputs to decision-makers in government, business, academia and civil society around the world. ORF’s first chairman was veteran journalist R.K. Mishra (1932-2009), former editor of The Sunday Observer and The Observer of Business and Politics newspapers (since discontinued) promoted by Reliance Industries. Currently, ORF’s team of 300 scholars and experts is led by Dr. Sunjoy Joshi, an alumnus of Allahabad and East Anglia (UK) universities who served the Union government as an IAS officer in various capacities for over 25 years, before being appointed director of the foundation in 2007. Focus areas. With a mandate to “lead and aid policy thinking towards building a strong and prosperous India in a fair and equitable world”, ORF conducts “in-depth research” and provides “inclusive platforms” on a wide range of issues including climate, energy and resources, cyber and media, economy and growth, global governance, national security, strategic studies and politics of reform. Moreover, it hosts five prestigious “forums” i.e, events the Asian Forum on Global Governance, ORF BRICS Forum, CyFy: The India Conference on Cyber Security and Internet Governance, ORF Kalpana Chawla Annual Space Dialogue and the Raisina Dialogue on issues of geopolitics and economics.